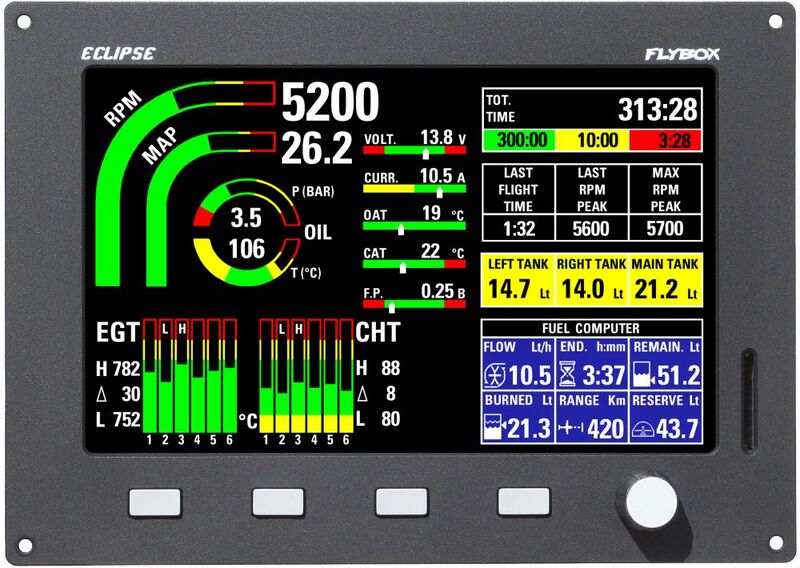 This model integrates into a single unit all the available functions of the Eclipse instruments family, allowing you to save space and weight on the instrument panel without giving up anything. 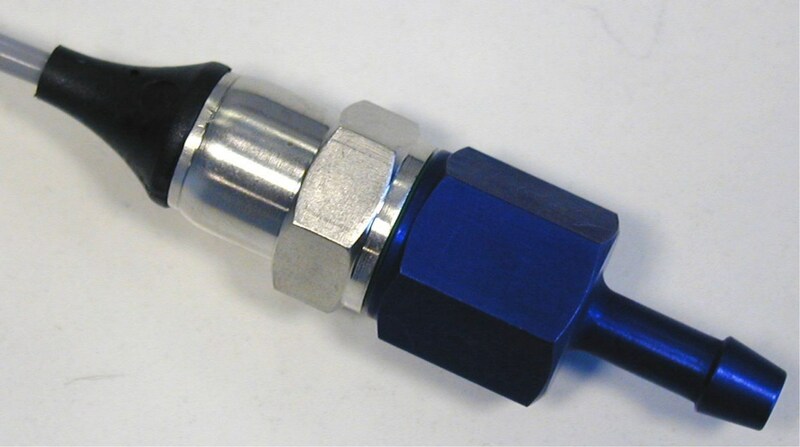 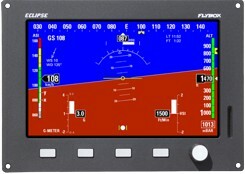 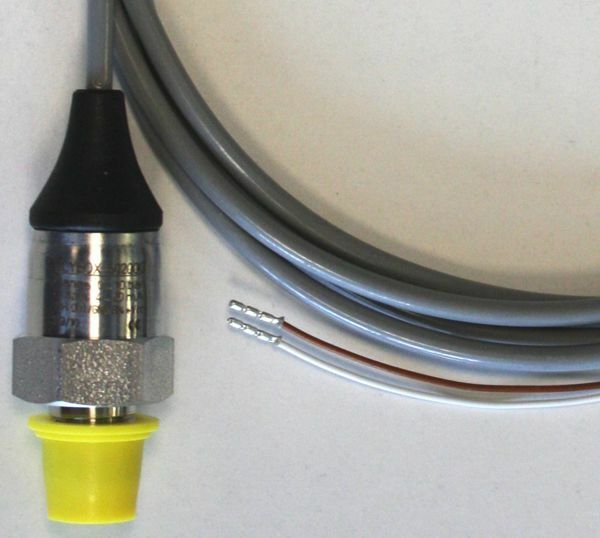 It also has the ability to connect to a secondary Eclipse MFD unit allowing you the option to install a second Glass Cockpit display into your instrument panel. 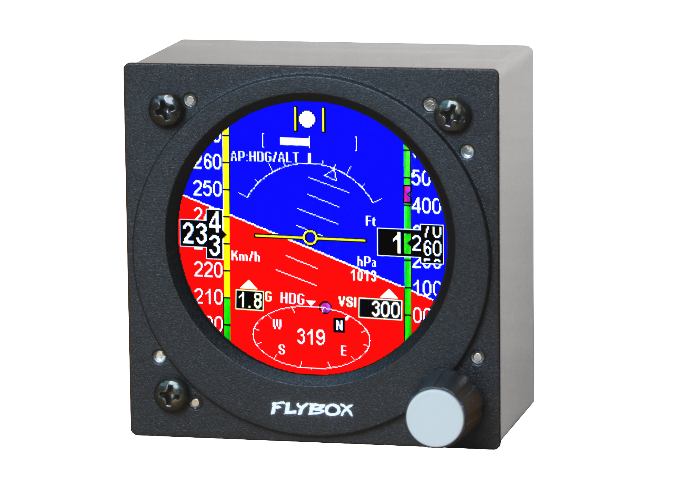 Includes artificial horizon and all flight data in a single screen. 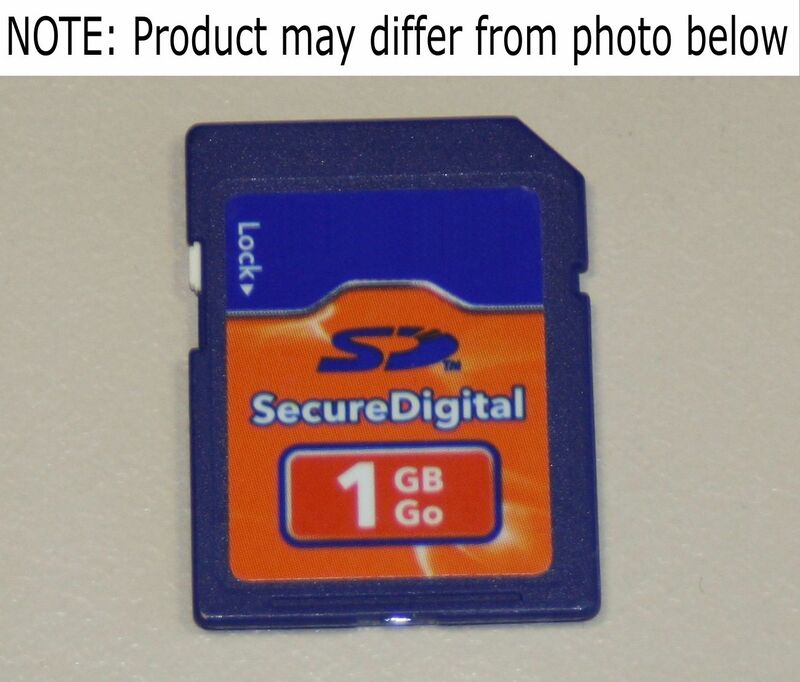 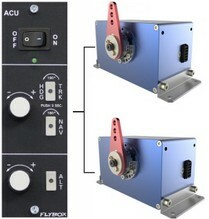 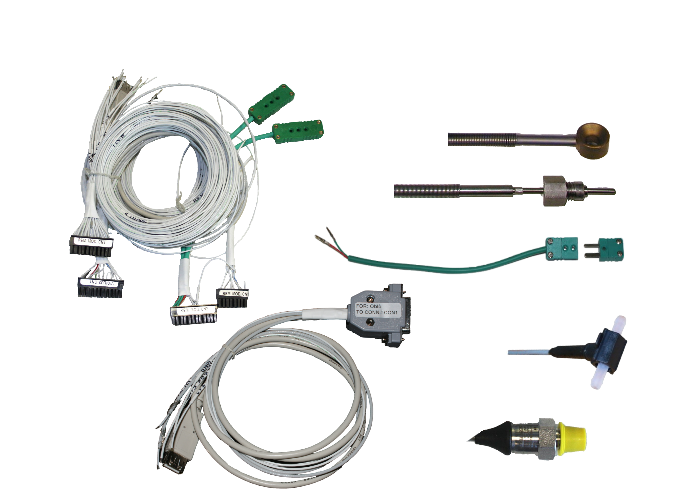 Other functions are graphic datalogger and 3 video inputs for color cameras. 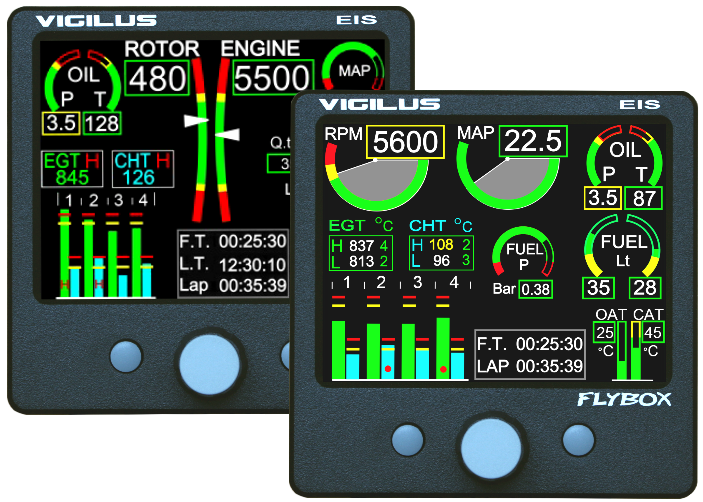 ECLIPSE EIS is designed for those who need to monitor all engine parameters, which are completely visible in a single large screen. 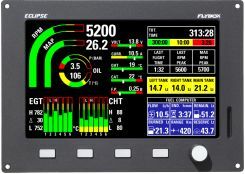 Other functions available are the fuel management, 3 video inputs for color cameras and graphic datalogger. 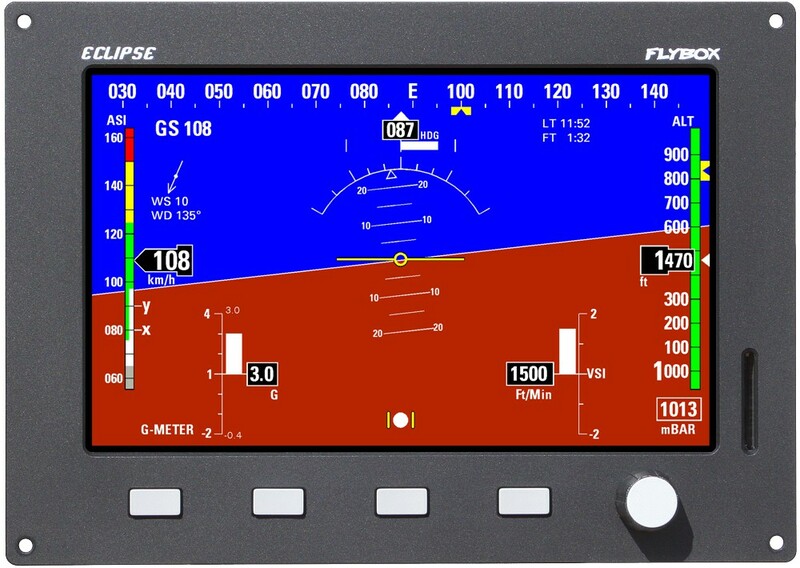 This version, installed on the copilot side, permits viewing all available data available from the main ECLIPSE unit (EIS, PFD or IFIS). 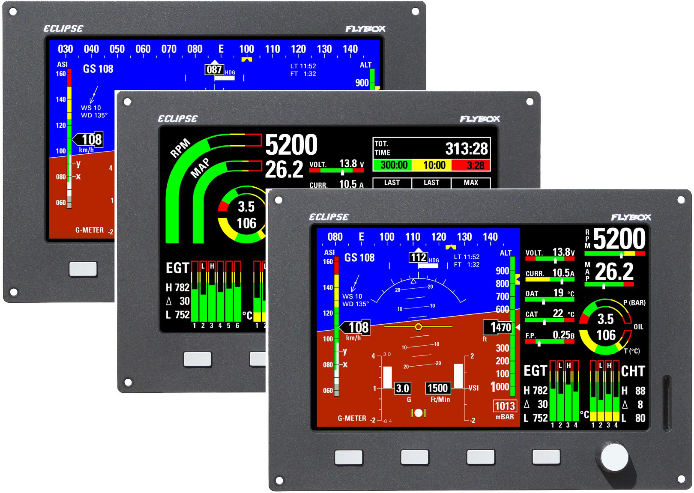 Read the EIS and PFD descriptions below for all the available functions. 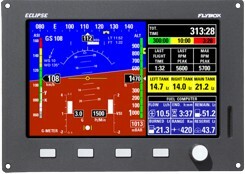 ECLIPSE MFD, connected to a main ECLIPSE unit (EIS, PFD or IFIS) permits also showing all data on the copilot side. 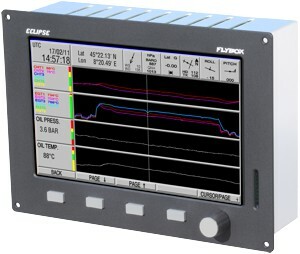 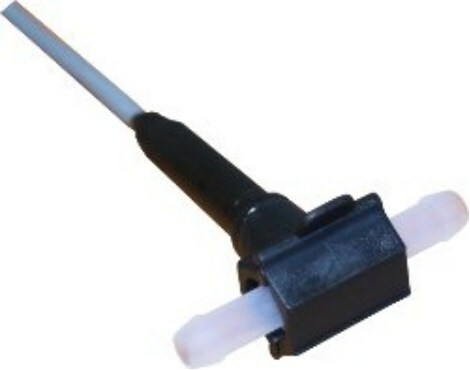 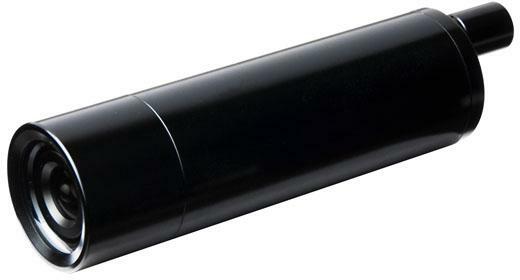 This version has the same design of the other 3 ECLIPSE models but it does not have any sensors integrated: it shows all data available on the main ECLIPSE to which is connected. 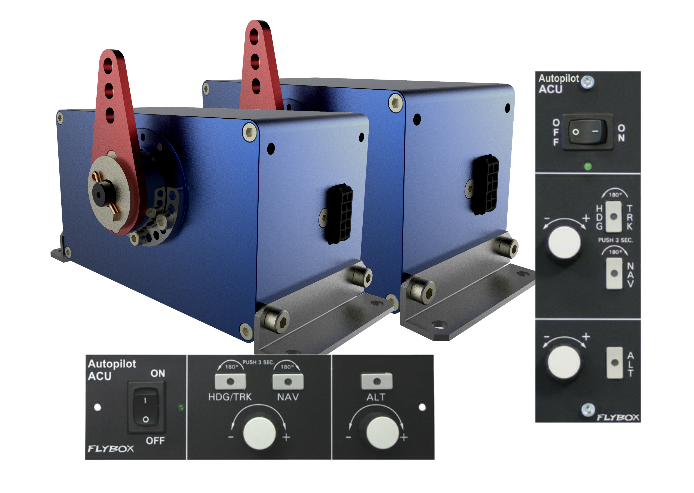 Like the other models you can choose between different screens depending on your personal preferences. 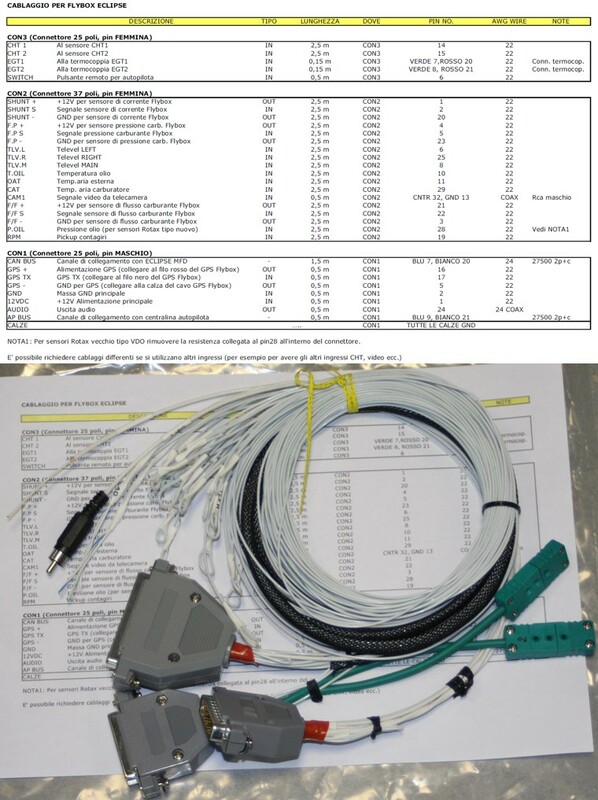 For all ECLIPSE versions it's included the useful datalogger with graphical viewer integrated.